Millwall's Lee Gregory missed a glorious chance with virtually the last kick of the game as the Lions drew 0-0 with Rotherham at The Den. Following on from their FA Cup heroics against Everton last weekend, Millwall were back in Championship action, and were held at 0-0 in the closing stages at The Den. But as they broke up the pitch, Jed Wallace's centre for Gregory looked destined to give the hosts all three points. 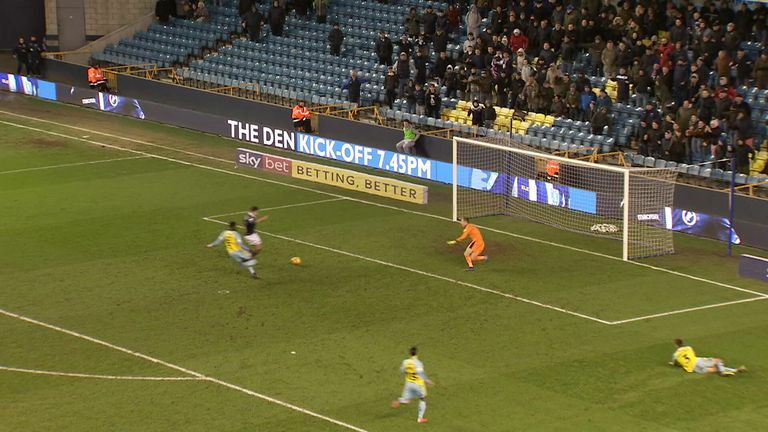 Instead, Gregory stuck the ball wide from a few yards out with the goal gaping, meaning Millwall stay 20th in the Sky Bet Championship table.